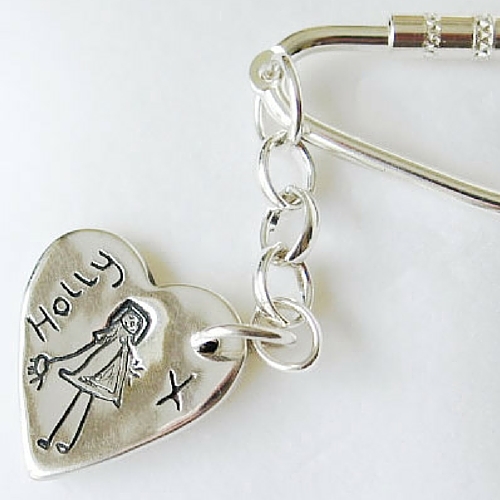 Create a beautiful charm from your favourite master piece by a loved one. Artwork is reduced in size to fit on a beautiful charm. 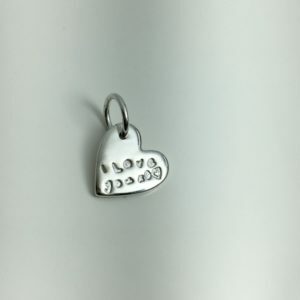 The cost includes one artwork and one name on the front or initial on the back of the charm. Additional prints / name on the back can be added. 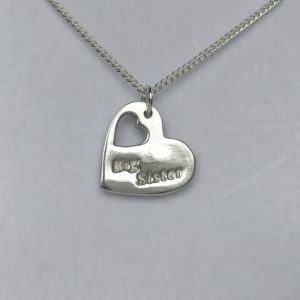 Once we have received your order and artwork we can get started on creating your special piece.